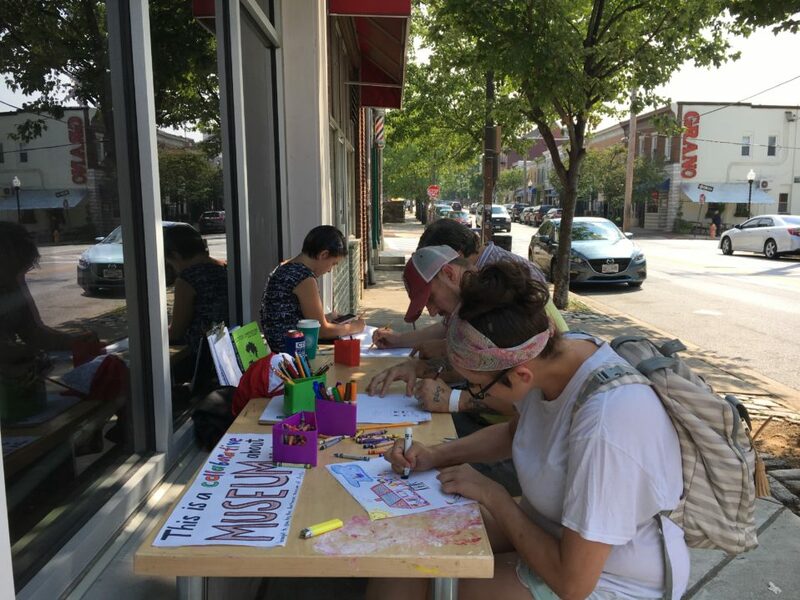 The BMA Outpost: Hampden is an exhibition of artwork created by community residents that began July 10 and will conclude September 27. The BMA Outpost is a mobile museum which travels to neighborhoods in Baltimore bringing artmaking and conversation to where it’s least expected. The Outpost has been in residence in the community working with the Family Center as the host site, creating a space where the community responded to the theme of “home” either visually or verbally, telling the stories or lived experience of the neighborhood over the years. With all the works of art, a larger picture is formed of what Hampden means to people, a place of change, a place of community, family history, and many many other things. These drawings and paintings highlight the assets and challenges that are a reality for many in present day Baltimore and Hampden, as well as dreams of what a better Baltimore could look like in the future. Please join us for an opening reception on Thursday, September 27, 6–7:30 p.m. to view the artwork and hear the stories collected. Lite fare and beverages will be served. All are welcome.